Assuming that you are going to open a Forex account, trade on Demo for a couple of weeks and then you are going to hit it big is naïve to say the least. Yes, your Rich state of mind could you broke, oh so broke state of mid. Learn to Learn and Avoid Going Broke! Why Thinking You’re Going To Get Rich Will Get You Broke? Thinking that you are going to get rich trading Forex is not a mistake actually. After all, trading on the financial markets is one of the most lucrative activities – think Buffet – but the “trick” is getting your mindset right – think the Tortoise and the Hare. Assuming that you are going to open a Forex account, trade on Demo for a couple of weeks and then you are going to hit it big is naïve to say the least. Yes, becoming rich is a distinct possibility, but don’t make the mistake of thinking it’s going to happen without a lot of work. Here’s a story to make you understand what I’m saying. Yea, it’s a kids’ fable, but believe me, grownups have a lot to learn from it as well; however, I am going to assume you’ve read it and I am going to stick to Forex: a few years back – memory eludes me how many – I started trading with the Rabbit’s mentality. Quick, quick let’s trade a bit on demo, read one or two trading lessons tops and I’m on my way to make millions. I risked only a few hundred bucks on my first real account but it took less than a week to blow it. Anyway I learned my lesson and started to educate myself – months of reading and taking notes, testing, trading on demo, the whole package. I was about one year into my Forex experience, out for a beer with some friends when one of the guys at the table starts talking about trading, saying that he has some money saved for buying a car but he’s thinking of investing it in Forex instead. The car he wanted was a used one so we are not talking about tens of thousands of bucks, but still a hefty sum. Of course my curiosity got the better of me and I started to ask about his trading style, how long he has been trading, stuff like that. The answer surprised me somewhat because up until that moment the guy seemed pretty confident and I figured he had some experience under his belt. But he said something along the lines of: Man, I’ve been trading for about a month on Demo, making lots of virtual money – it’s time to go live. No, no dude I said, it’s not time to go live, believe me I’ve been in the same situation. But deep down I knew he wouldn’t listen… after all, I wouldn’t have listened a while back. Then he enlightened me on how easy it is to make money with Forex: you buy when it’s low and wait for it to go up and then you close the trade, duh. You do the opposite with sell trades and you make money… duh again. Well, yea, that’s the idea, but how do you know when it’s “low” enough to buy or “high” enough to sell? And when do you close your profit trade exactly? Also, if it goes against you, when are you going to accept the loss and close the trade? By now beers were piling up and the conversation started to become an argument: yours truly in the blue corner and the soon-to-be Forex millionaire in the red corner. I was saying “Dude you can make money, but it takes time” and he was like “Yea, I’ll show you I’ll make money. And fast! Stop trying to hold me back.” He wanted to be the Rabbit by all means and couldn’t accept that the Tortoise approach works best so I figured it was time to let him be whatever he wanted to be. I changed the subject, finished my beer and took a cab home. I never talked Forex with the guy again, but after a few moths I saw him working at a car-wash. There’s nothing wrong with working at a car-wash but compared with his expectations… well it wasn’t anywhere close. I guess his foolproof method of making money didn’t turn out so great. Just like I said in the beginning of this article, I don’t think that becoming rich through Forex trading is unachievable but you have to have realistic expectations. Do not assume that you can just scratch the surface, learn how to open and close trades and Presto! You’ll become the next big shot Forex trader. I assumed that and failed, the guy in the pub assumed it and to some extent the Rabbit assumed it. You can do it, just don’t try to do it fast. 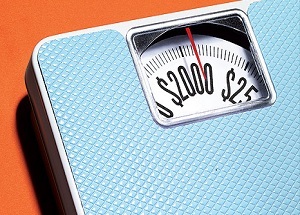 Lose Weight or Lose Money? Diet Plan and Forex Trading ..